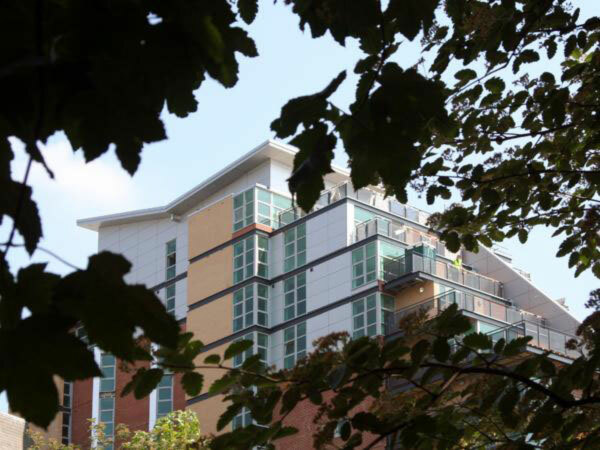 Saint George Building is a perfect example of how comfortable and stylish a city centre apartment block can be. Its L-shaped structure and stepped glassy upper floors make it an instantly recognisable building on Great George Street. 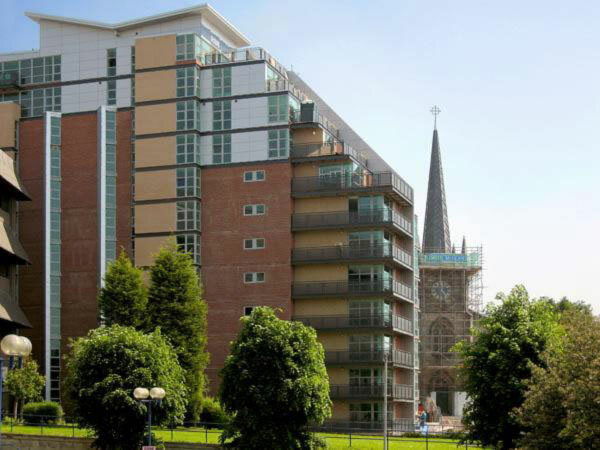 All of the apartments in the Saint George Building have been finished to a very high standard. They boast good quality kitchens and bathrooms floor to ceiling windows and surprisingly spacious balconies. There are also some pleasant views of the nearby church from many of the apartments. Saint George Building may be quite close to the city s Inner Ring Road but this really doesn’t cause any problems. Everything appears to have been so well designed in this apartment block even when it comes to soundproofing qualities This lovely modern development has a great deal going for it; both inside and out And as far as city centre blocks are concerned it is certainly worth some serious consideration.